Oracle Database is an object-relational database management system (RDBMS) developed by Oracle Corporation. 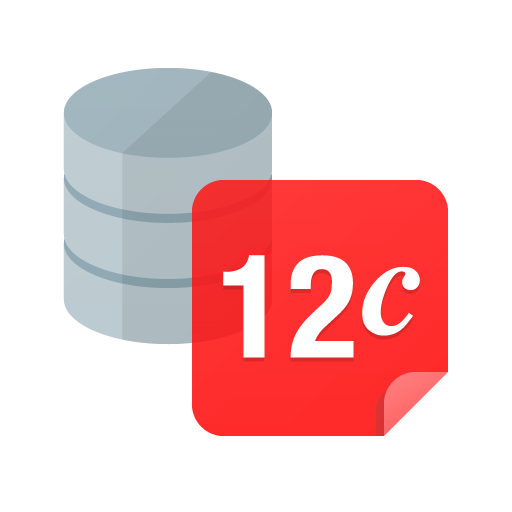 The Oracle Database 12c is a high-performance, enterprise-class database. Oracle Database is the most popular, trusted database systems. Oracle Database support multiple operating systems like Redhat, SUSE, Oracle Linux, Microsoft Windows and IBM Linux. 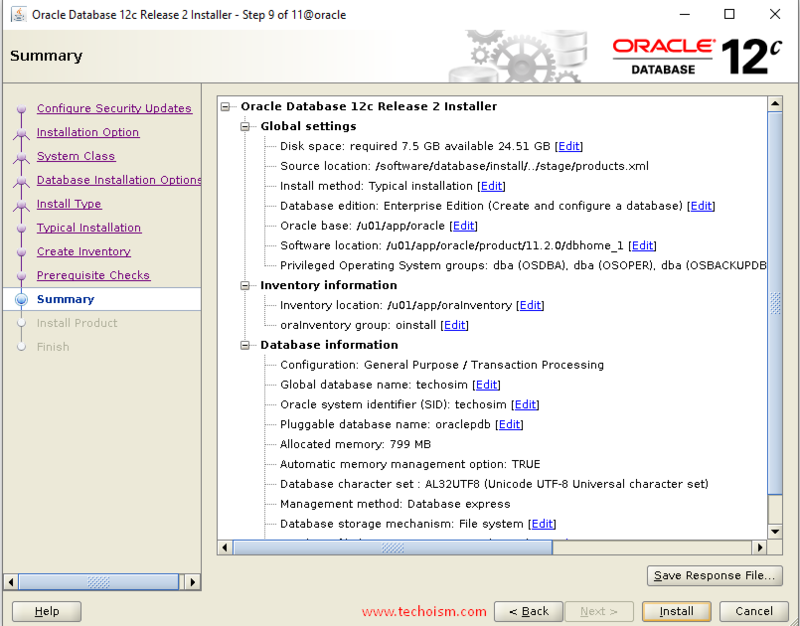 In this article we will explain how to install Oracle Database 12c on Linux Server. First we need to install the required packages. These packages we can easily get from OS officially repository. The host file must contain a fully qualified name for the server. Set secure Linux to permissive using selinux configuration file. Reboot the server or execute the mention command. If on server Linux firewall is enabled, so you need to stop it and need to configrure it. Oracle database will run with normal Linux user. So we need to create the user and group for oracle. 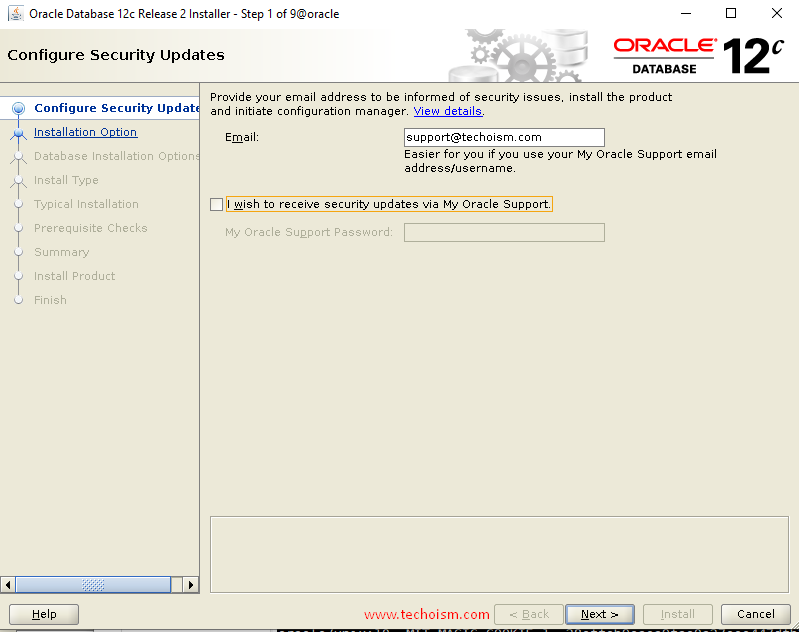 Set the oracle user password. 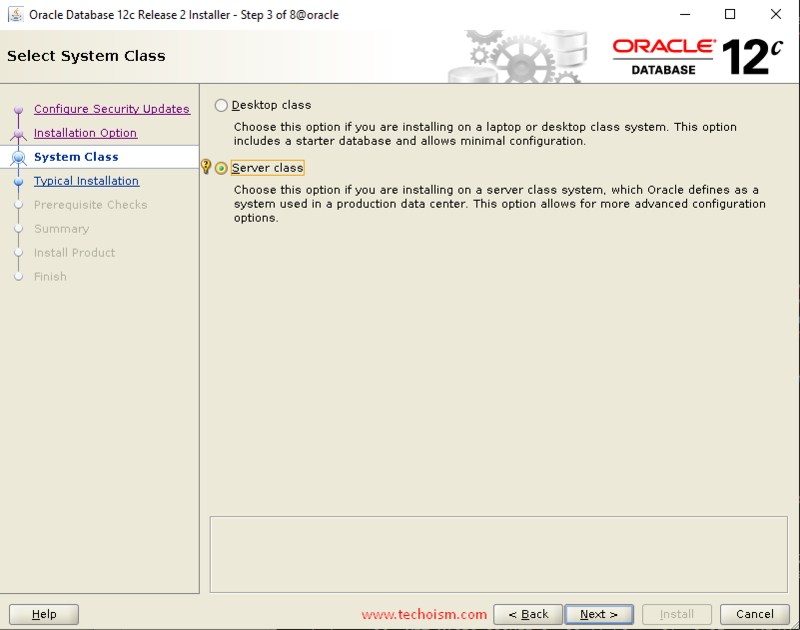 Now we need to configure our system before start the installation of Oracle Database. Add mention kernel parameters in sysctl.conf file. Reload the configuration file to reflect the changes. Next, we need to configure some limits for the oracle user. X11 forwarding refers to executing such a program remotely through an SSH (Secure Shell) connection. 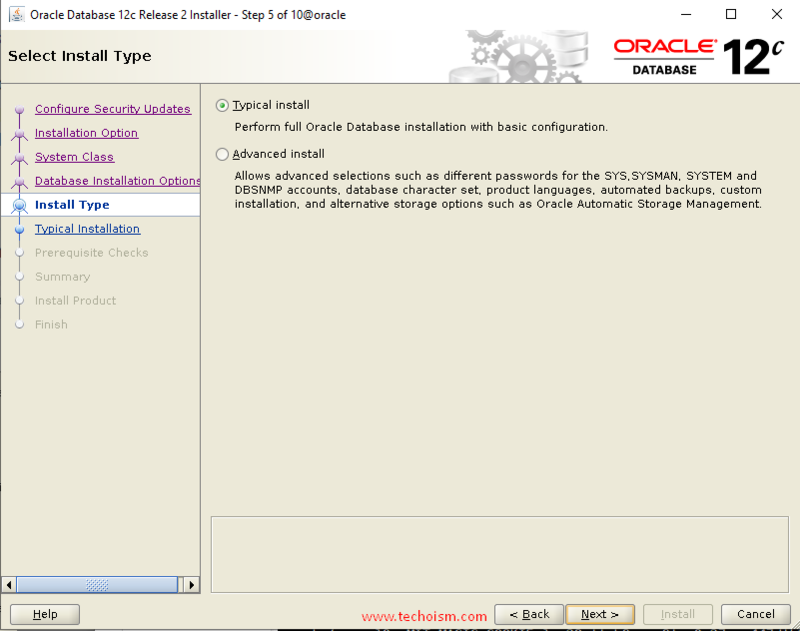 With X11 you can easily install the Oracle Database. You can use mention link to configrure X11 on server. 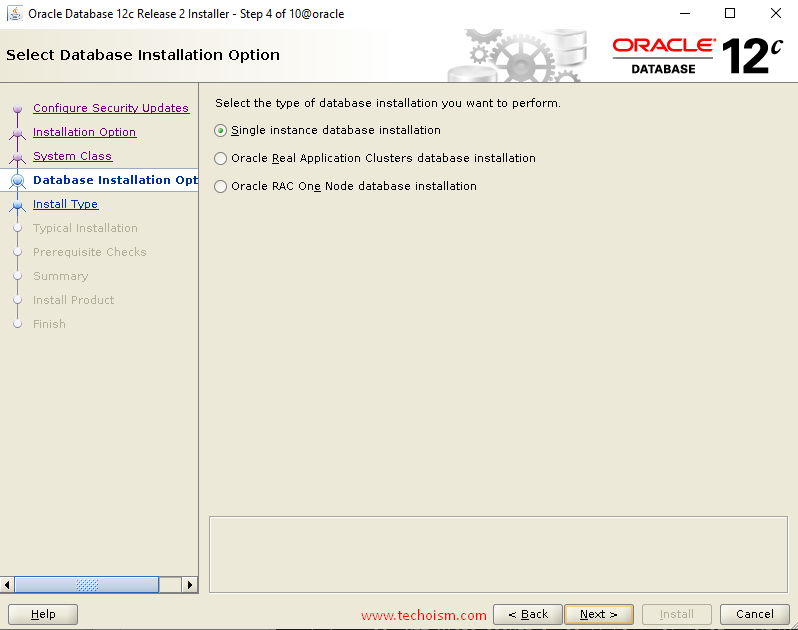 Before installing Oracle Database, create directories that will be used during the Oracle installation, and provide the required permissions. 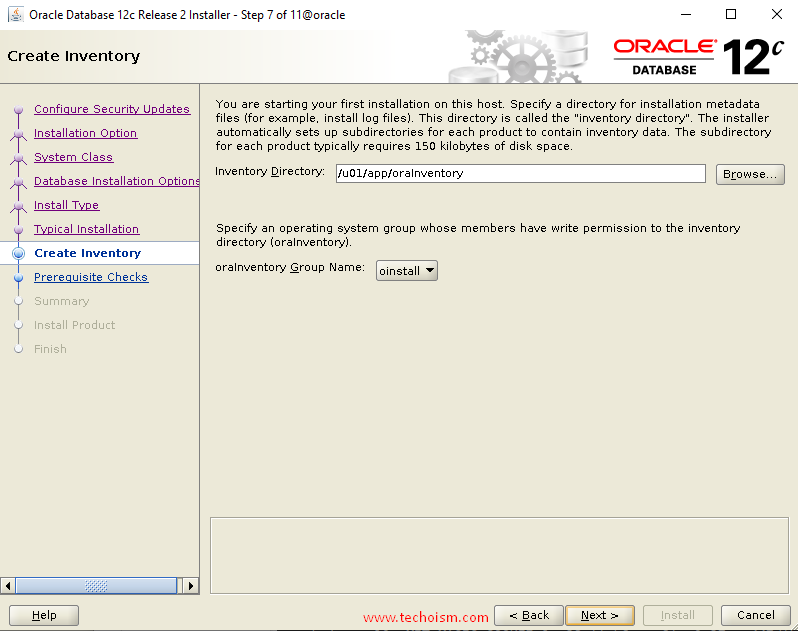 Once you will download the Oracle database setup from Oracle official website. Extract the Oracle files on a Linux server. 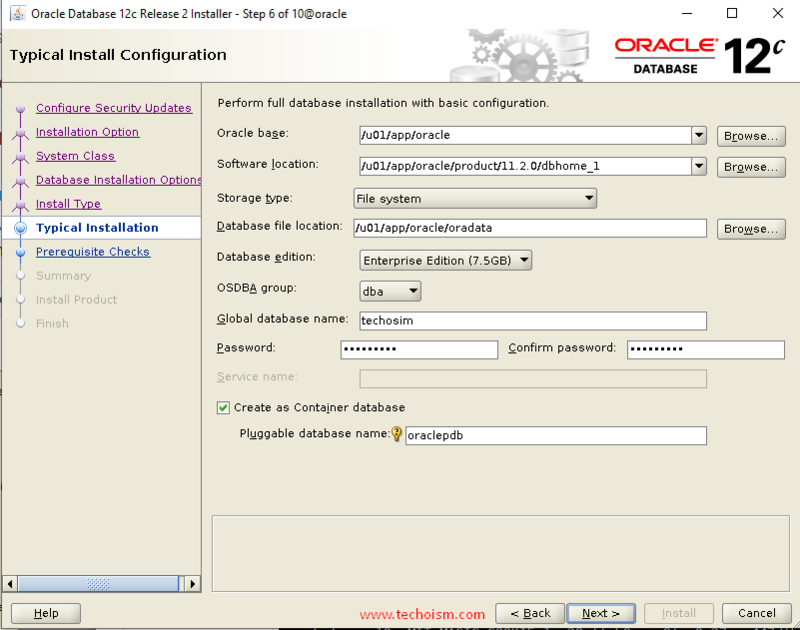 Start the Oracle Database Installer issuing the following command in the database directory. Under the ‘System Class’ section, choose system class and click “Next” again. 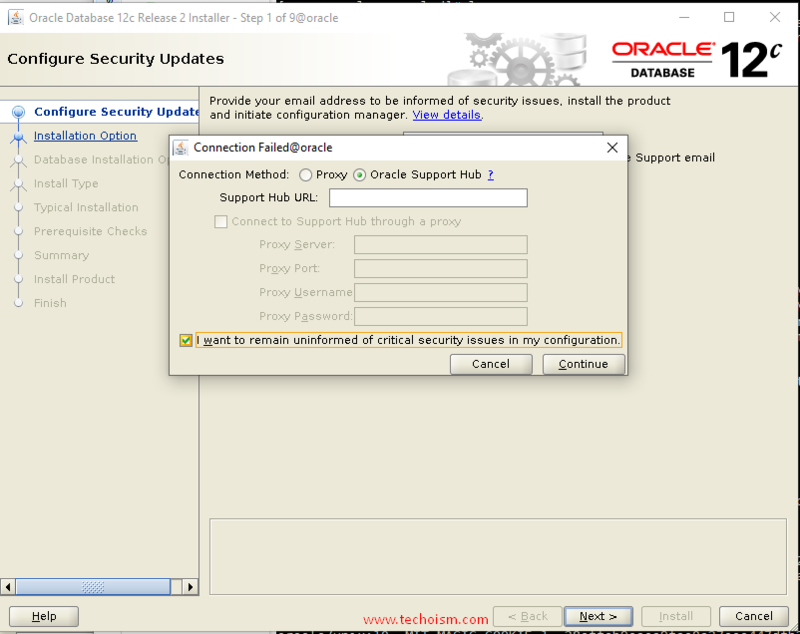 Verify that the installation pre-checks are completed without errors. then it will show the summary of the information such as global settings, database information, etc. Review the information and click “install”. 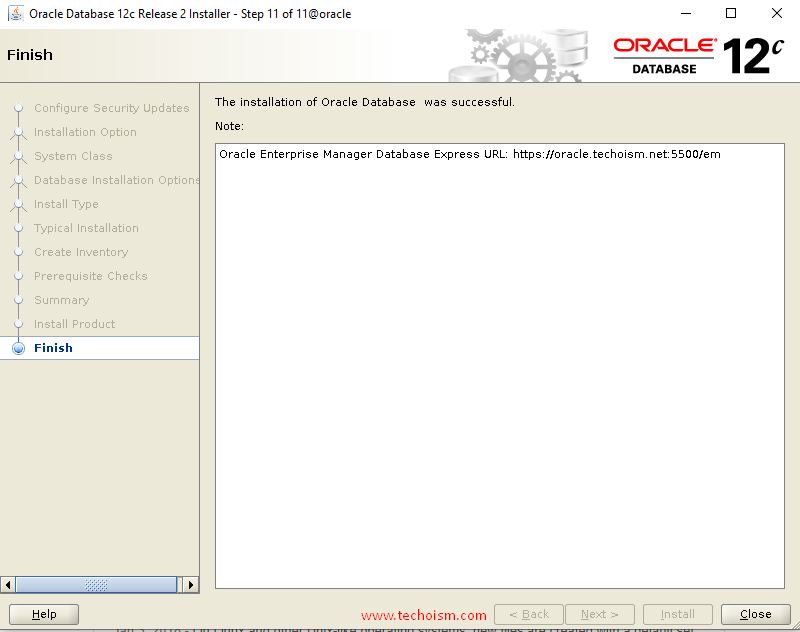 Now installation of Oracle Database has been started. It will take a few minutes to complete. 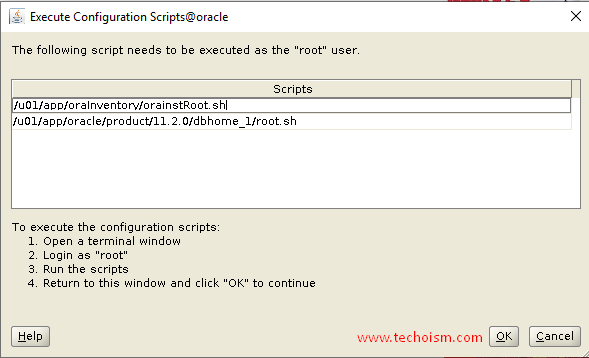 During the installation you need to run a couple of scripts to set the required permissions. 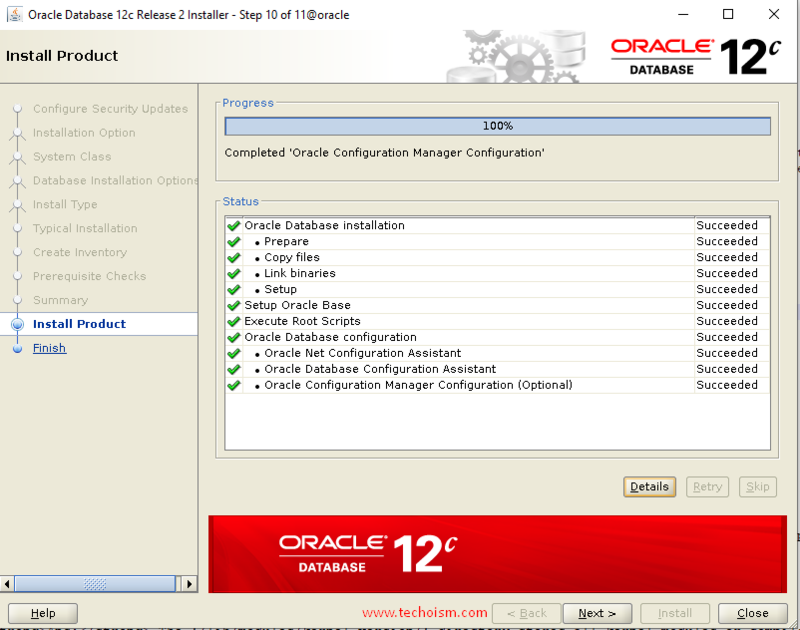 Oracle database configuration has been completed and click “Next”. Add the following lines in user home directory at .bash_profile file. Finally replace the host in listener.ora file. To enable the database service to start automatically on boot, create the service file for oracle database and add the mention lines. Finally, indicate to database to be brought up during boot.